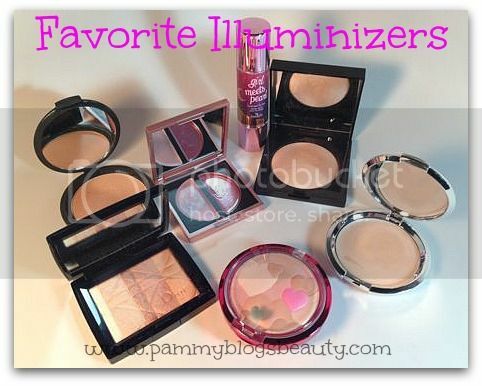 Here are my current favorite Illuminators (in no particular order): I have raved about many of these products in the past and reviewed a number of them as well. So, I will simply list them here. They are all slightly different and all totally fabulous! Need more recommendations for Illuminizers? Check out what my fellow Makeup Wars bloggers are loving by clicking on their thumbnail links below! I've always wanted to try Girl Meets Pearl! People say such wonderful things! I have a feeling we will be seeing a lot of IT Cosmetics today! I love the Happy Booster one!! I forgot about the matte radiance powder from Laura Mercier! Good choices! I love the Beauty Addicts sheers. I forgot about those! Ive been dying to try the Amber Diamond powder! It Cosmetics is going to win the number of mentions - for me it was the first one I thought of. Unfortunately I ended up giving away the PF Happy Booster since the fragrance drove me away. So sad, it has hearts but I couldn't take it. The Laura Mercier Matt Baked Highlighter looks interesting! Love her face products, so I might need to add it to the list!